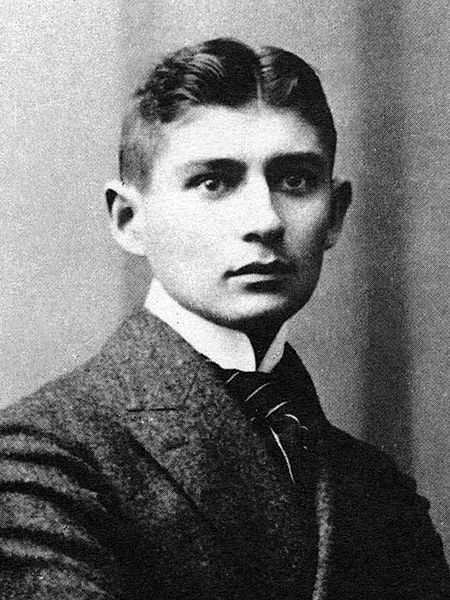 Czech novelist and short story writer, Franz Kafka (1883 – 1924), is highly regarded by literary critics and praised as one of the most influential twentieth century authors. His most famous works are The Metamorphosis (translation from German: "Die Verwandlung"), The Trial ("Der Process"), and The Castle ("Das Schloss"). Featuring themes of parent-child conflict (he had a strained relationship with his father), mysterious transformations and transfigurations, and psychological struggles, The Metamorphosis is the most emblematic of Kafka's writings. After being trained as a lawyer, Kafka took work at an insurance company. He was a prolific letter writer, expressing resentment that he lacked the time for his real passion-- writing-- because he had to spend so much time at his "day job."